The test of time puts replacement fencing on capital expense list again and again . 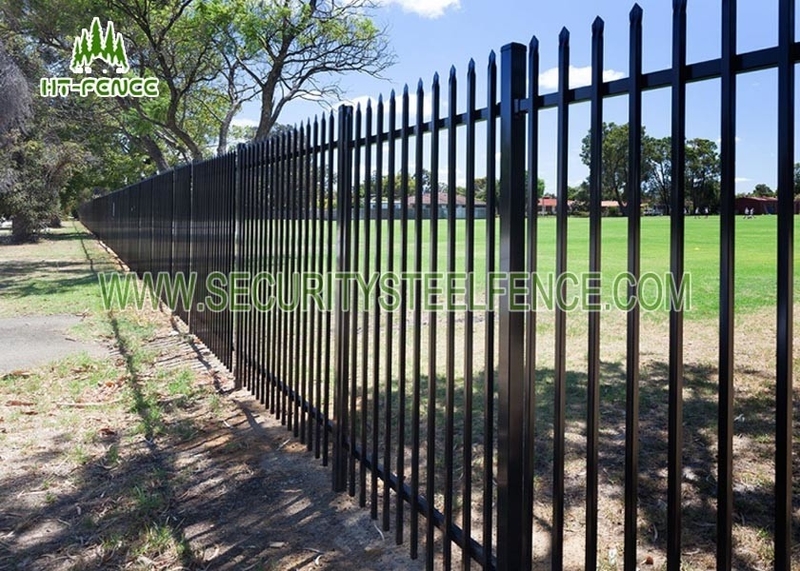 Time consuming,cost consuming and often interruptive to the premises security .Solution--- Garrison fence. This heavy duty tubular fence makes intrusion extremely difficult. Finished with an aggressive pointed top,The fence is dangerous to climb. In the event there often ends in arrest for the intruder . 1. Available as standard 2100mm high , the fencing can be supplied as 1800mm or 2400mm, and made to measure between pillars on front alignments. 2. Gates are also matching and using heavy duty hinges, provide years of trouble free service. 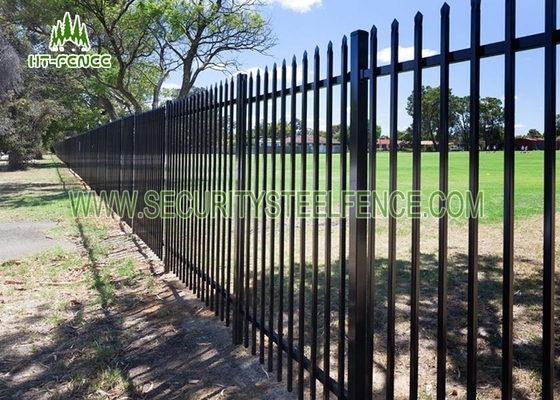 Lasting for longer than wire fencing solves the ongoing capital expenses of wire fence maintenance and replacement Powder coated to suit your landscape and building. 3. There are two kinds of type: welded face on rail,or punched through rail.